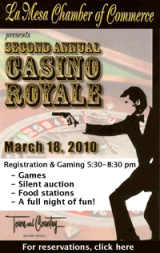 March 11, 2010 (La Mesa) – Try your luck at Monte Carlo-style gaming tables amid a night of glitz, glamour and prizes galore at La Mesa Chamber of Commerce’s Casino Royale Night on Thursday, March 18th . The event takes place in the Golden Ballroom at the Town & Country Hotel, where a silent auction, raffle, and elegant food stations will all be part of the fun. 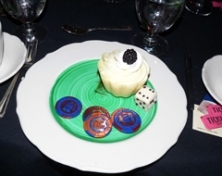 Last year’s event drew more than 175 guests who tried their luck at roulette, blackjack, and other favorites of James Bond, the dashing fictional character popularized in Ian Fleming novels and action movie thrillers. 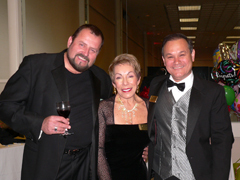 At the 2009 Casino Night, Jeff Hallman of Hallman Jewelers portrayed Bond, while England obligingly filled the role of a “Bond girl” aglitter in jewels and evening gown. Festivities will take place from 5:30 to 8:30 p.m. Cocktail wear or business attire is suggested. Tickets cost $50. Major sponsorships are also available. 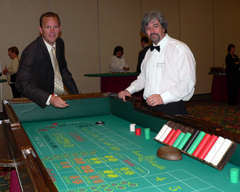 For more information or to RSVP, visit http://www.lamesachamber.net/casino.php or call Mary England at (619)251-7730.